Innovation in Science Pursuit for Inspired Research (INSPIRE) is a National Programme implemented by the Ministry for attraction of talent amongst students to study science and pursue career with research. The basic objective of the programme is to communicate to the youth of the country the excitement of creative pursuit of science, attract talent to the study of science at an early age and thus build the required critical human resource pool for strengthening and expanding the science and technology system and R&D base. 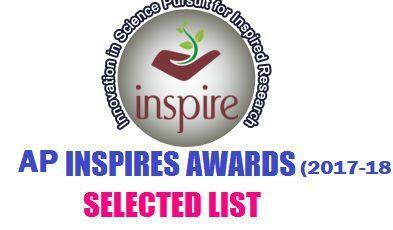 Innovation in Science Pursuit for Inspired Research (INSPIRE)" is an innovative programme sponsored and managed by the Department of Science & Technology for attraction of talent to Science. The basic objective of INSPIRE is to communicate to the youth of the country the excitements of creative pursuit of science, attract talent to the study of science at an early age and thus build the required critical human resource pool for strengthening and expanding the Science & Technology system and R&D base. The programme was launched by the Hon’ble Prime Minister on 13th December 2008. The implementation started during 2009-10.